MediaTek Helio P70 vs Helio P60 Comparison - What's changed? 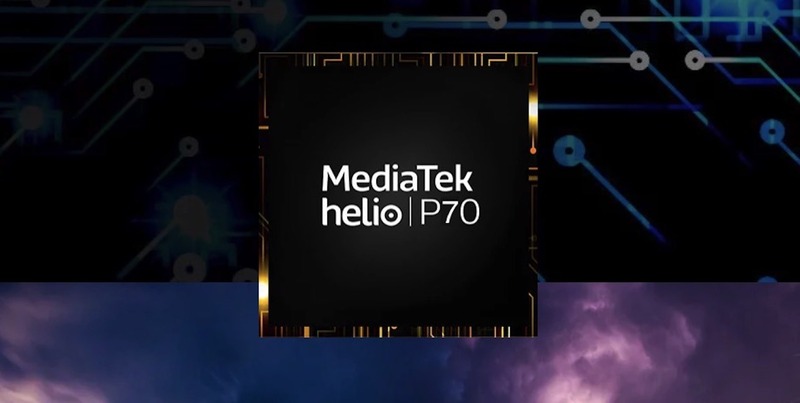 MediaTek has launched some impressive chipsets this year from the Helio P60 to the recently announced Helio P70. Also, we saw the Realme U1 launching in India as the first smartphone with the MediaTek Helio P70 processor. But, how much of an upgrade is the P70 over the much popular Helio P60? In this article, we will try to understand this with the help of benchmarks and the specifications of each chipset. So, this is all about the MediaTek Helio P70 vs Helio P60. You may be thinking why is there a need to compare these two? Well, when there is a successor of something, we compare it with the predecessor to see how much improvement is there in the new one compared to the older one. We all know that the Helio P70 is not a significantly different chipset than the P60. It only has a few improvements here and there. So, this is the reason why we are talking about this comparison. READ: Snapdragon 636 vs MediaTek Helio P60 Comparison – Which one is better? Ok, let’s begin with the specifications first since that’s something we do in all of our chipset comparisons. Talking about the MediaTek Helio P60 first, it is an octa-core 2.0GHz processor that has four high-performance ARM Cortex-A73 cores and four ARM Cortex-A53 cores of better power efficiency. As for the MediaTek Helio P70, we have the same octa-core arrangement and also the same GPU. So, what’s different? Well, the clock speed is now up to 2.1GHz and this slight increase results in over 13% better performance than the P60. There is now a new Intelligent Multi-Threading Scheduler that delivers up to 10-30% better AI processing than the Helio P60. Similarly, there are some improvements in gaming as well since the GPU has a frequency up to 900MHz. So, the P70’s overall performance and power efficiency are relatively better than the Helio P60. As you can see in the table above, there is not much difference in the overall specifications. The only difference that you’re going to notice is in the CPU and GPU’s clock speeds. They are slightly more than the Helio P60’s. So, let’s now take a look at the benchmark scores of both the processors. Again, the benchmark scores don’t always mean that a chipset is better than the other. 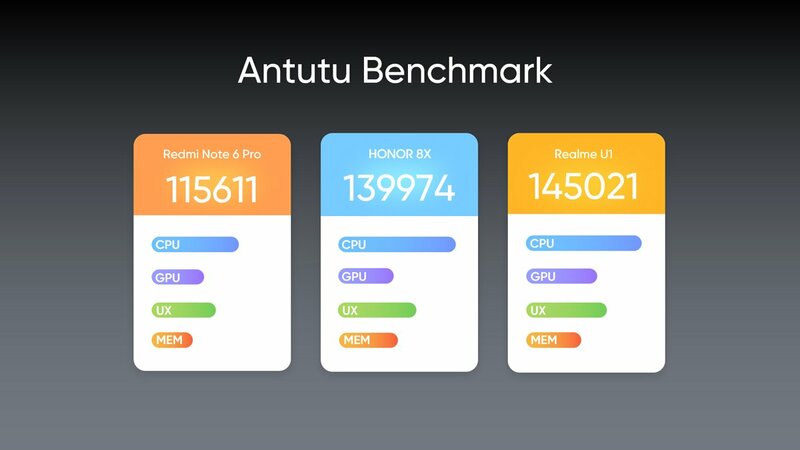 The Realme U1 is powered by the MediaTek Helio P70 processor and talking about its benchmark scores, the phone scores around 145K on AnTuTu. This means the phone scores more than the Snapdragon 636 and the Kirin 710. On Geekbench, the phone scores around 1540 on the single core and almost 5970 on multi-core. The MediaTek Helio P70 scores 1,000+ on Slingshot Extreme (OpenGL ES 3.1) and 1000+ on Slingshot Extreme (Vulkan). 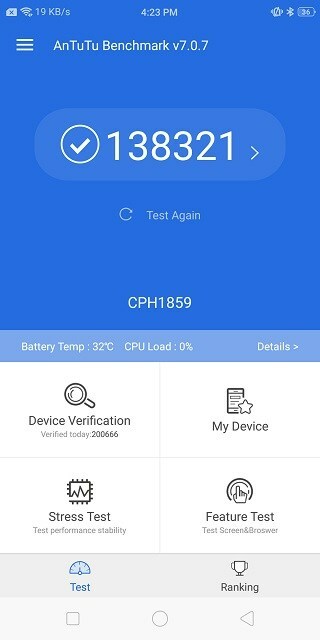 On the other hand, the MediaTek Helio P60 scores around 138K on AnTuTu benchmark. There is a difference of almost 7-8K in the scores which is due to the increased CPU and GPU frequencies. Talking about the Geekbench scores, the Helio P60 scores around 1480 on the single core and 5650 on multi-core. Again, not a huge difference in the scores of P70 and the P60. The specifications and the benchmarks of both the chipsets showed that there is not much difference in the performance and the overall specs between the two. The MediaTek Helio P70 is slightly better regarding the overall performance and AI capabilities. On December 13, MediaTek will launch the Helio P90 in China, and that’s going to be a killer chipset with impressive specifications. We hope to see phones with Helio P90 in markets outside India in 2019. Anyways, do share your views on the MediaTek Helio P70 vs Helio P60 in the comments section below.